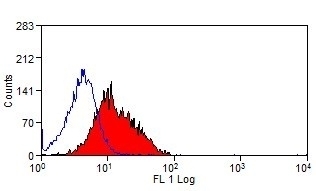 Goat anti Mouse IgG antibody recognizes mouse IgG. The reagent has been adsorbed to minimise cross-reactivity with rat immunoglobulins and is therefore of particular value in detecting mouse primary antibodies bound to rat tissues. Goat IgG shows minimal binding to Fc receptors on rat tissue. We recommend diluting this product in buffer containing 10% normal rat serum to remove any residual cross-reactivity. Antisera to mouse IgG were raised by repeated immunisation of goats with highly purified antigen. Purified IgG was prepared by affinity chromatography. Voulgaraki, D. et al. (2005) Multivalent recombinant proteins for probing functions of leucocyte surface proteins such as the CD200 receptor. Win, T.S. et al. (2009) Donor CD4 T cells contribute to cardiac allograft vasculopathy by providing help for autoantibody production. Circ Heart Fail. 2 (4): 361-9. Fitzgerald, A.M. et al. (2012) The effects of transforming growth factor-β2 on the expression of follistatin and activin A in normal and glaucomatous human trabecular meshwork cells and tissues. Invest Ophthalmol Vis Sci. 53 (11): 7358-69. Gibbings, D.J. et al. 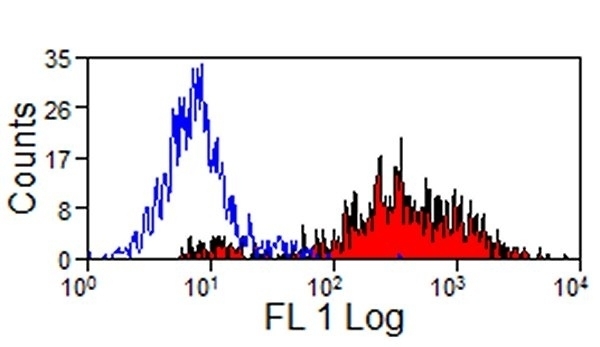 (2007) CD8α is expressed by human monocytes and enhances FcγR-dependent responses. Chen, F. et al. (2015) Generation of B Cell-Deficient Pigs by Highly Efficient CRISPR/Cas9-Mediated Gene Targeting. J Genet Genomics. 42 (8): 437-44. Strazielle, N. et al. (2016) T-Lymphocytes Traffic into the Brain across the Blood-CSF Barrier: Evidence Using a Reconstituted Choroid Plexus Epithelium. PLoS One. 11 (3): e0150945.